David Spreadborough here, the International Trainer at Amped Software. It’s great to be back writing a blog post. The past few months have been very busy at Amped and our image authentication software, Amped Authenticate, has become the ‘go-to’ tool for many requiring an image’s history or to identify signs of manipulation. Helped maybe by the huge amounts of press detailing fake stories and images. 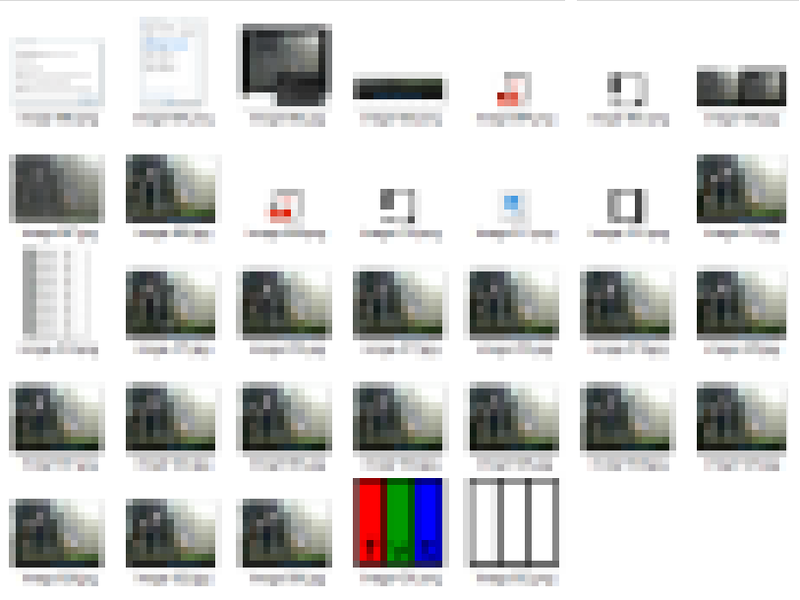 In this crazy world of multimedia forensics, we cannot stand still. The tech wizards at Amped HQ have been hard at work integrating new filters and tools to assist you further. So, let’s dive in and take a look! 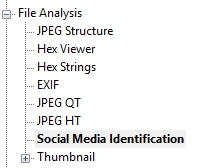 Under the File Analysis category, you will find this new filter. Its purpose is to detect traces in the file formats left on images by social media platforms. As most of you probably already know, it is very easy to save other people’s images from sharing sites. With a simple right-click, you can save the displayed image to your computer. This filter now enables you to identify if the images you are examining originate from a Social Media Platform. There are 10 built-in source locations: Facebook, Flickr, Google+, Imgur, Instagram, Telegram, Tinypic, Tumblr, Twitter, and Whatsapp. 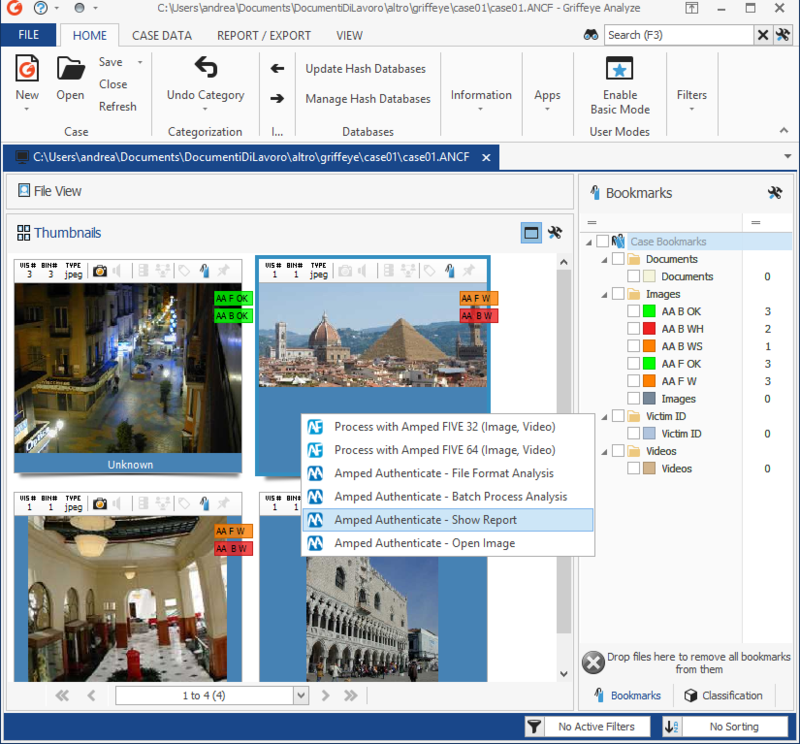 However, the filter comes with the added benefit of enabling you to create your own dedicated database with other sources specific to your area or investigation. After saving an image from someone’s timeline, I have examined this in Authenticate and the filter has correctly identified the source of the image as being Facebook. 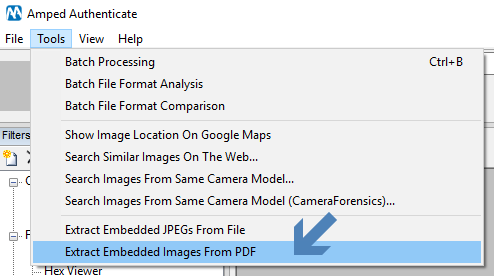 Extracting plain JPEGs from PDFs has been possible for some time, but many other image formats can be embedded inside a PDF document. 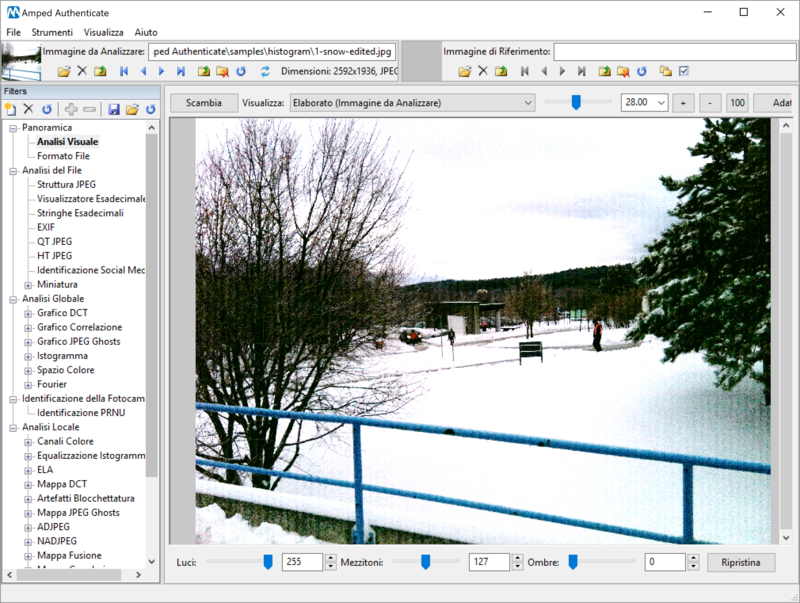 This new tool allows you to overcome the image format limitation and can extract many other standard images embedded with different encodings. After selecting your target PDF, you have a number of options in how to read or convert these images. After extraction, a dialogue box will tell you where those images are, and after selecting OK, that directory will open. All graphics, icons and standard JPEGs are now actionable as separate images, ready for further interrogation (masked in the example above due to content). Analyze DI Pro is a media investigation and categorization tool developed by Griffeye Technologies. Many of you will know that we integrated Amped FIVE into the Analyze DI Pro workflow a little while ago. Well, now its time for Authenticate to follow! In the next few weeks, we will release a dedicated blog post on this integration as it opens up many possibilities to speed up image analysis and sorting. 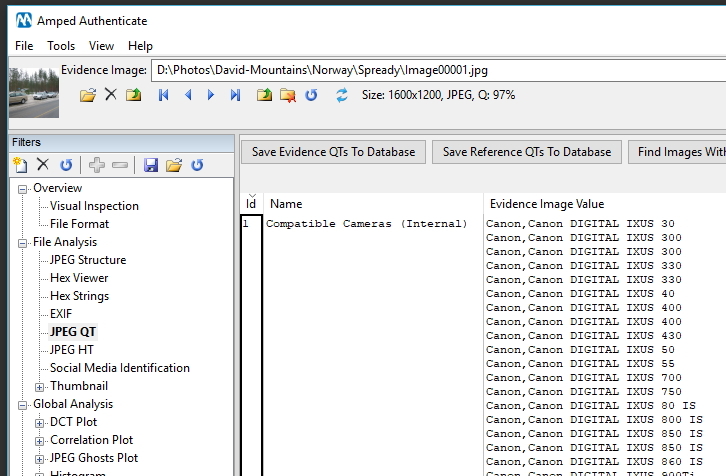 A single image, or a selection of images, can be chosen in Analyze DI Pro, and then processed directly by Authenticate. Within Analyze DI Pro, the results will be shown directly over the image as colored flags. For example, the red label “AA B WH” in the image below, would indicate that Amped Authenticate has analyzed the image in Batch Mode and it has registered a Hard Warning. What’s the reason for this cryptic bookmark? Griffeye Analyze DI Pro allows only a limited number of characters to be displayed on the image thumbnail, so we had to be creative in order to not crowd the display too much. You’ll see this integration in more detail in a future blog post. There are two new options here, as highlighted in the image above. It used to be that images with certain Aspect Ratios, or having ICC metadata (International Color Consortium), would produce a warning within any data analysis stage. Due to some common Aspect Ratios and the development by Apple to include ICC data with their images, these are now included so the warnings do not appear if the conditions are met. We are constantly working on the PRNU capabilities within Authenticate due to it being one of the easiest and most powerful methods to confirm that an image has come from a specific device. 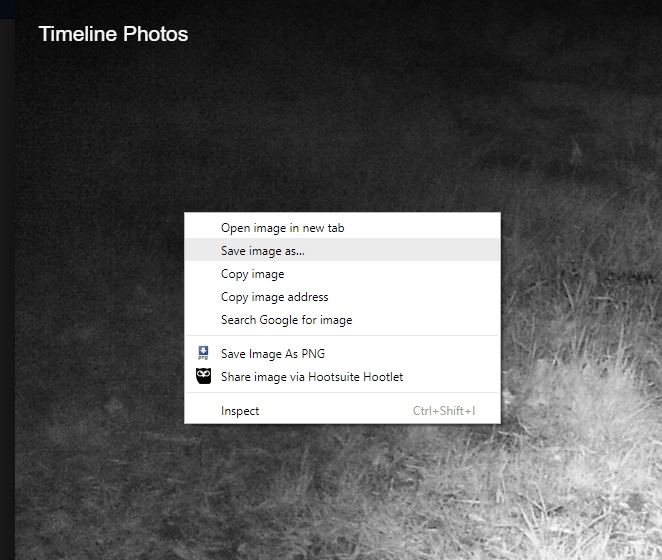 There have been some ‘behind the scenes’ updates and also a new option for selecting a maximum amount of images. Even images that are stored in portrait mode, but should be viewed in landscape, can now be used (automatically utilizing the Rotate flag in the metadata), and when the process of profile compiling has finished, you will be informed if certain images could not be used. The Database of Internal Quantization Tables has been expanded with many more new and up-to-date cameras. It took longer than it should have, but Authenticate is now also available in the Italian language. Remember, if you find a nasty little bug tucked away in the application, don’t just put up with it – let us know and we will fix it! 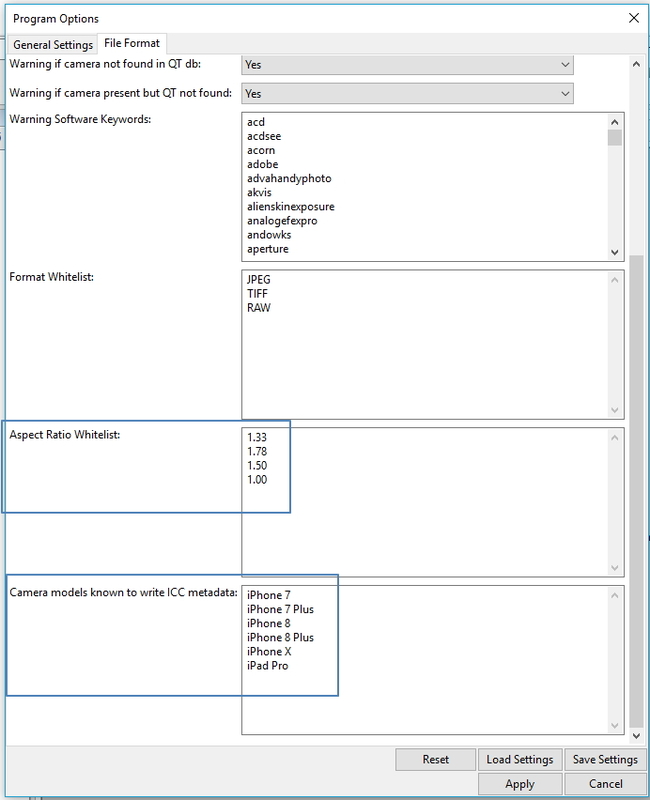 Searching for images on the web with Camera Forensics: if using a reference image that was not a JPEG, this tool would cause an error. FIXED! Hex Strings: a random bug that caused an application freeze and wrong offsets to be displayed. FIXED! If you have an active support plan you can update to the latest version of Amped Authenticate by going into the menu “Help” > “Check for Updates Online”. If you need to renew your SMS plan please contact us or one of our authorized partners. This entry was posted in Announcements, Authenticate, New features on February 23, 2018 by David Spreadborough.